“CSC MC 12, s. 1994: Amendment No. 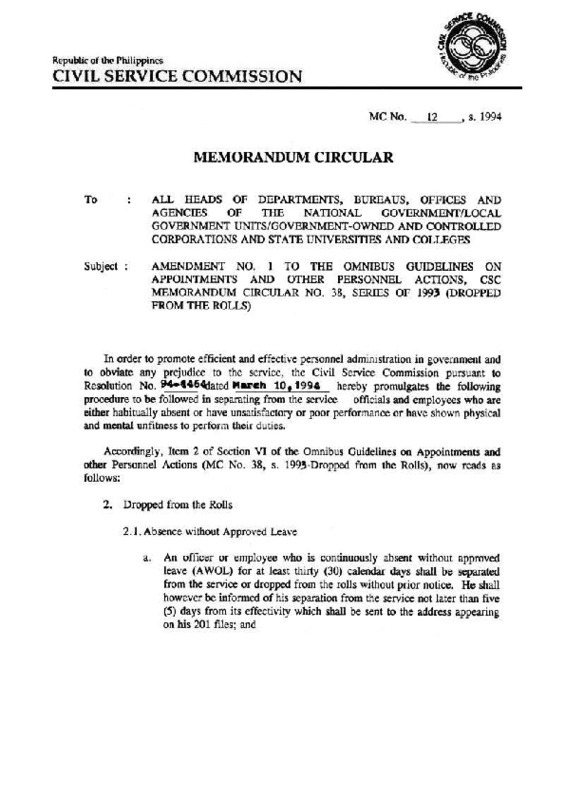 1 to the Omnibus Guidelines on Appointments and Other Personnel Actions, CSC Memorandum Circular No. 38, series of 1993 (Dropped from the Rolls),” CIVIL SERVICE GUIDE: A Compilation of Issuances on Philippine Civil Service, accessed April 26, 2019, http://csguide.org/items/show/216.